A classy poster for a classy place. 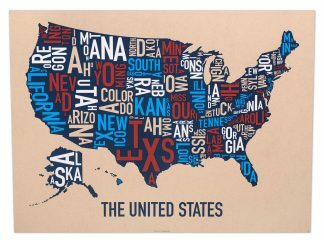 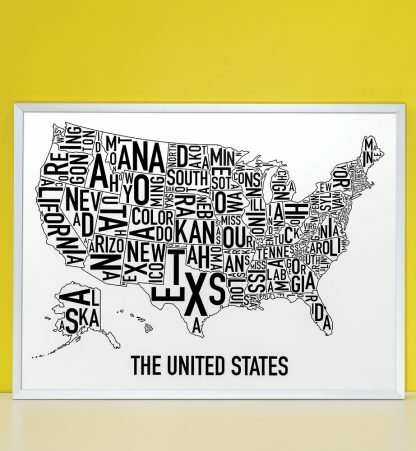 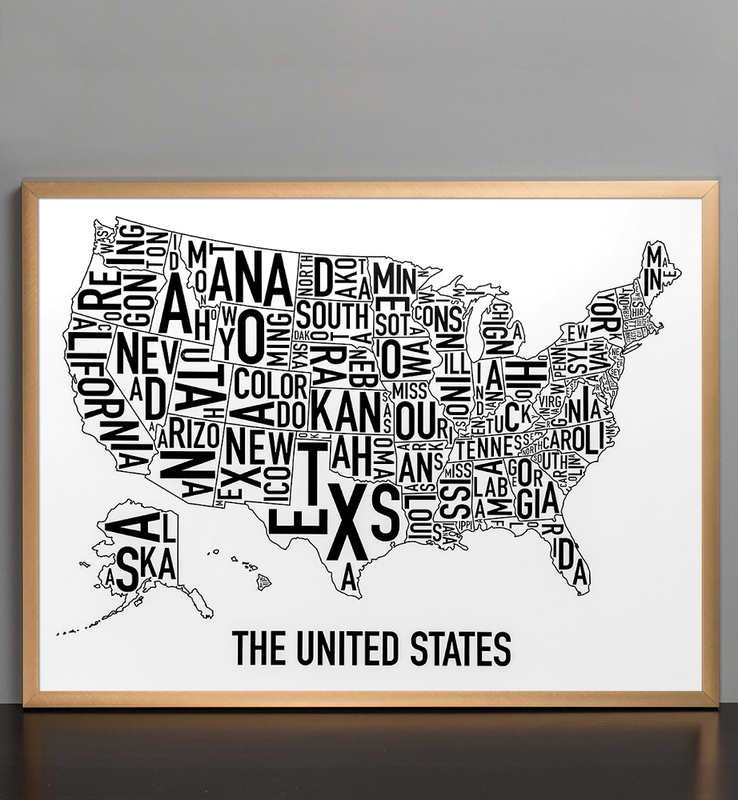 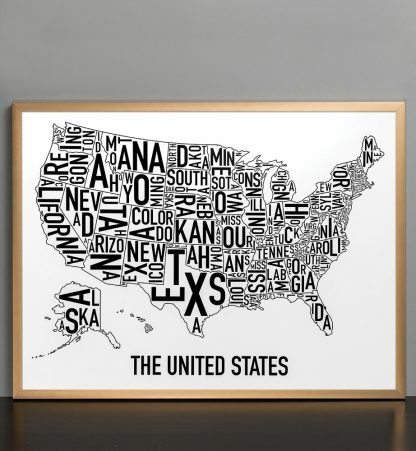 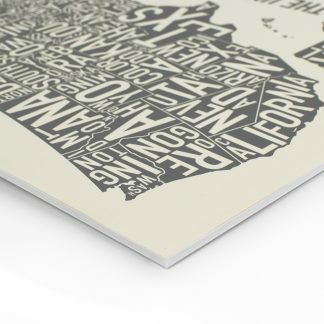 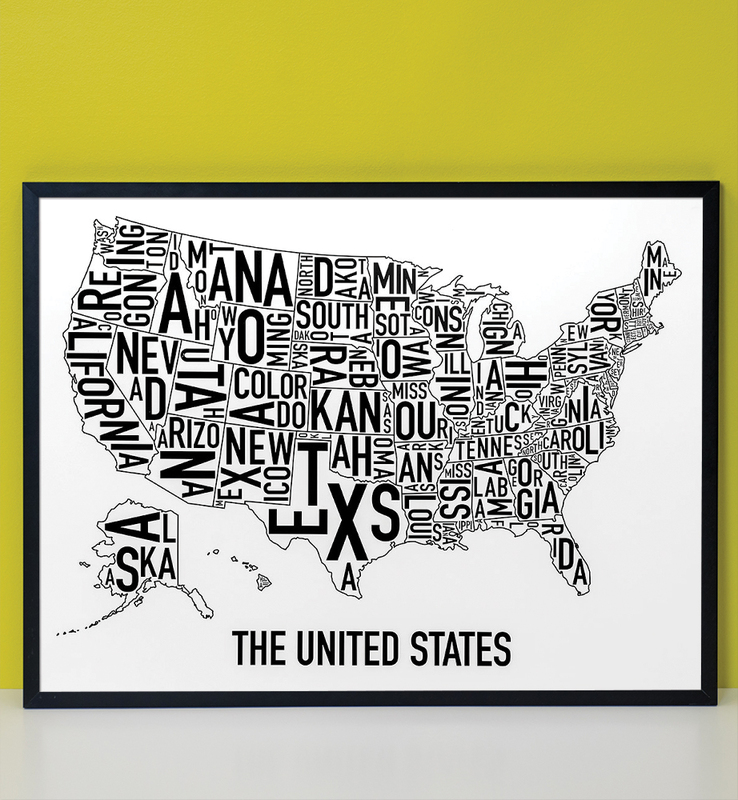 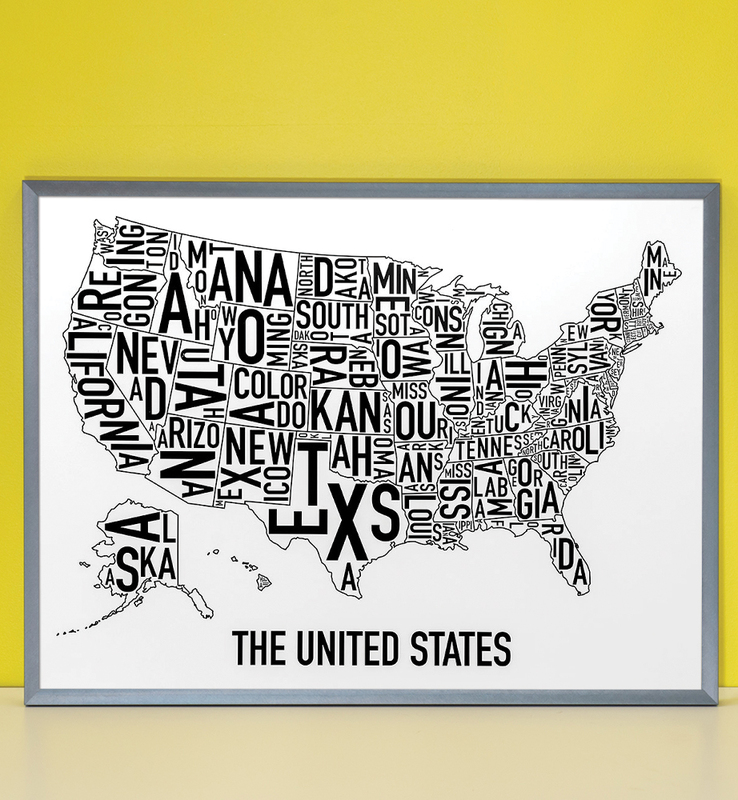 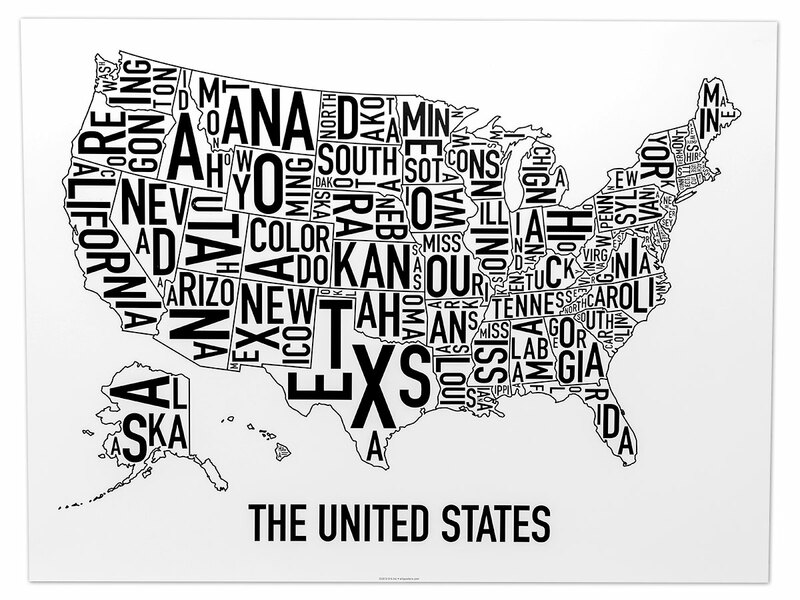 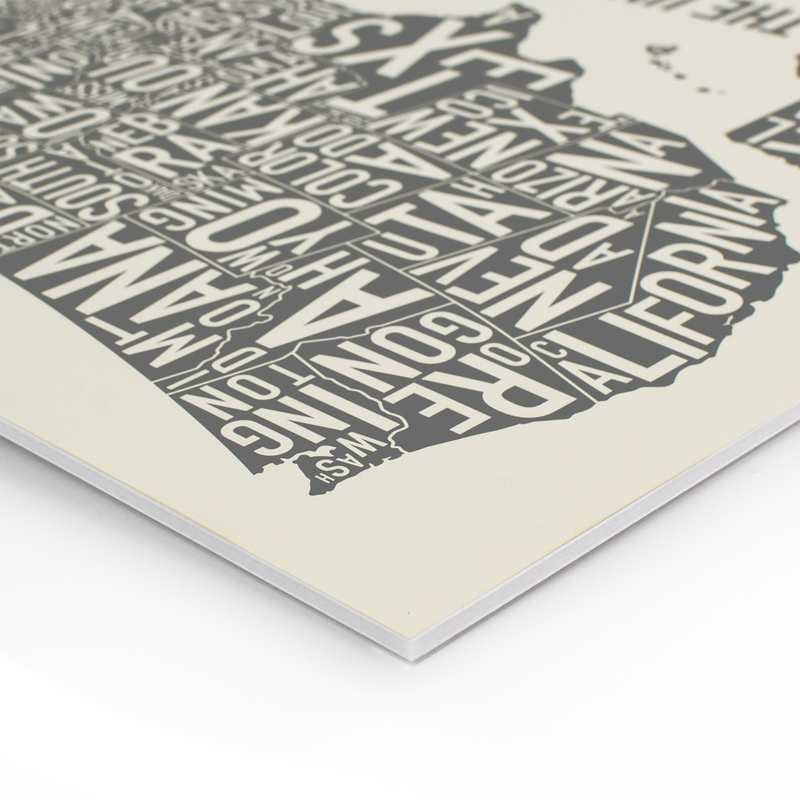 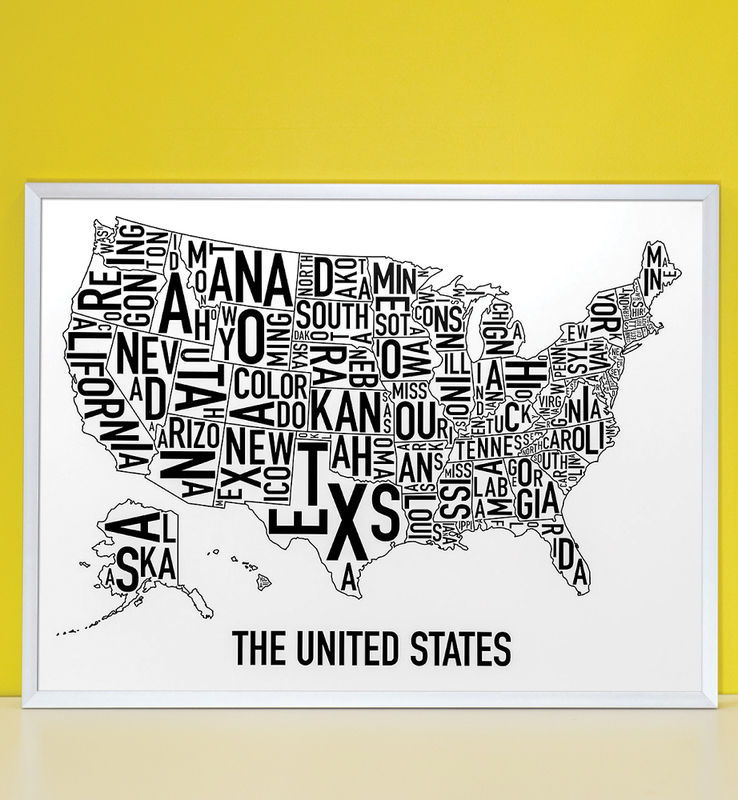 18″ x 24″ typographic map of the United States of America. 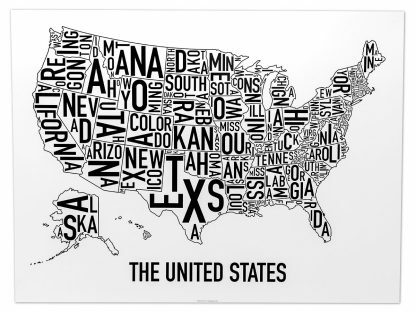 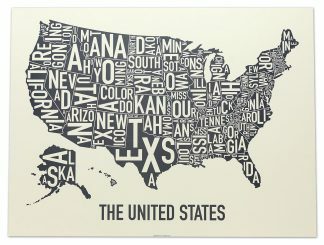 The letters of each state name are twisted and turned to fit inside the area of the state.